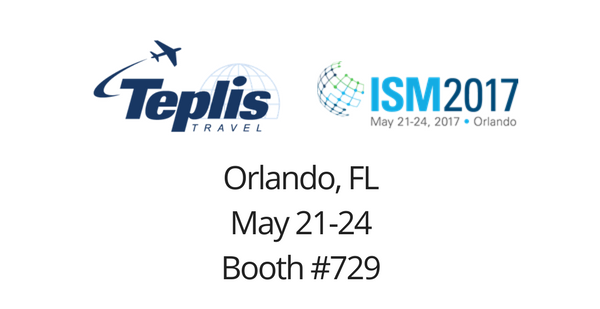 Teplis Travel is heading to the annual Institute for Supply Management (ISM) conference taking place in Orlando, Florida, May 21-24. ISM is the largest global organization dedicated to advancing the practice of procurement and supply management. They deliver continuous opportunities to enhance careers at every stage through wide-ranging educational resources, certifications, conferences and seminars around the world. As an exhibitor of this year’s conference, Teplis will have the opportunity to participate in meaningful educational sessions, hear from valuable keynote speakers like, David Cameron former prime minister of the United Kingdom, and join fun networking events taking place at Disney’s theme parks. We look forward to developing new relationships and gaining valuable insight through what other companies and industries share as their best practices. If you’re planning to attend the ISM conference, be sure to stop by and visit Teplis Travel at booth #729.